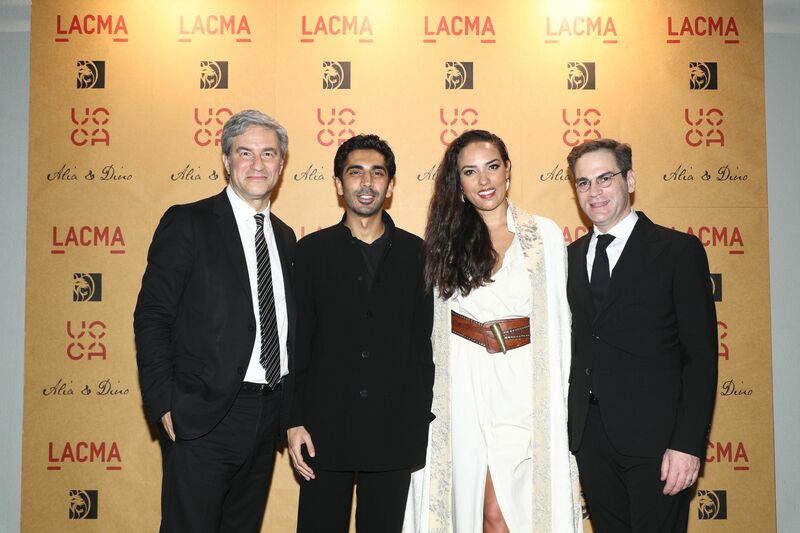 Over 800 people gathered at The Mills for the annual Los Angeles County Museum of Art (LACMA) and the UCCA Center for Contemporary Art (UCCA) party, and this year marked the third edition of the event. The newly opened retail, culture, art and exhibition space had been transformed especially for the occasion, evident from the forecourt of the space, which was the backdrop for an immersive theatre experience, which saw actors who played crew members on board a vessel that travelled through centuries, interact with guests as they wait to enter the space. The performance was the first of many that night, in keeping with the evening’s theme of Exploration and Discovery, which was inspired by early maritime exploration during the age of discovery and sought to capture the bridging of East and West on the eve of globalization. Hosted by Princess Alia Al-Senussi and Dino Sadhwani, in collaboration with LACMA’s Michael Govan and UCCA’s Philip Tinari, the event has become a staple of Hong Kong’s art week social calendar. The art institutions aspire to create an impact through visual art programs that are committed to showcasing the harmony of cultures and celebrating art in different forms. Other notable performances included Chinese rapper Vava take to the stage and she was followed with a lively performance from Brooklyn-based afrobeat band, Antibalas.